This week’s UK Etsy Spotlight is on Dook Plook Designs. I’ve been of Beth’s shop for a while and have made several orders. 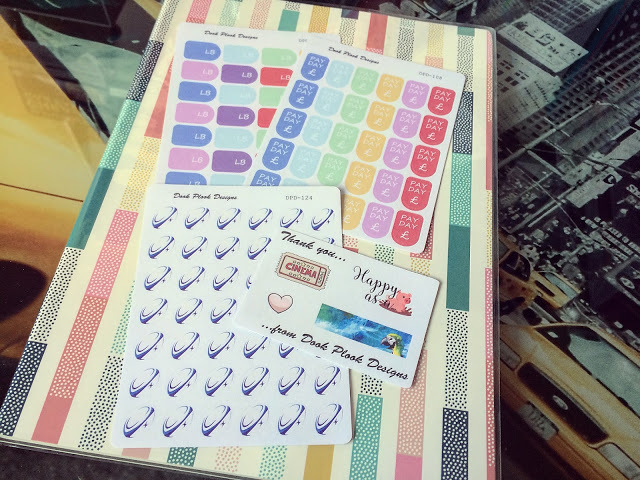 I shop with Beth for functional stickers as I like to add in extras when using a weekly set. If you read my blog or follow me on Instagram, you’ll know that fitness and health are pretty important to me. I’ve been a bit hit and miss with workouts and healthy eating lately but I still like to keep track of weigh-ins. I love the pastel colours! 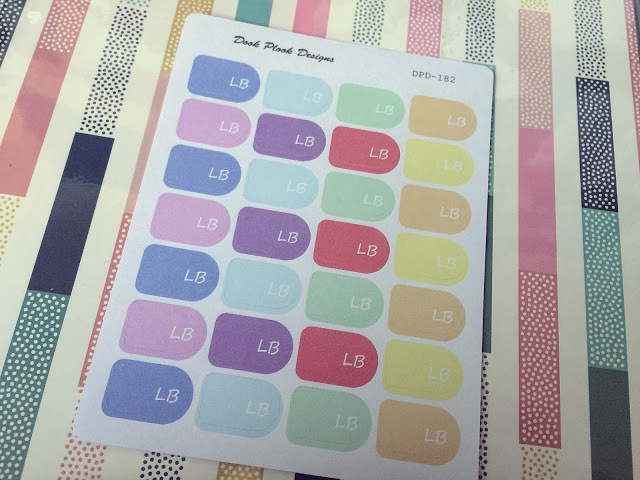 These stickers are a repeat purhcase but I previously bought them in brights rather than pastels. Pay day is always the last day of the month for me and it’s my favourite day of every month. I’ve been getting extra hours at work so my payslip is finally starting to increase in value! 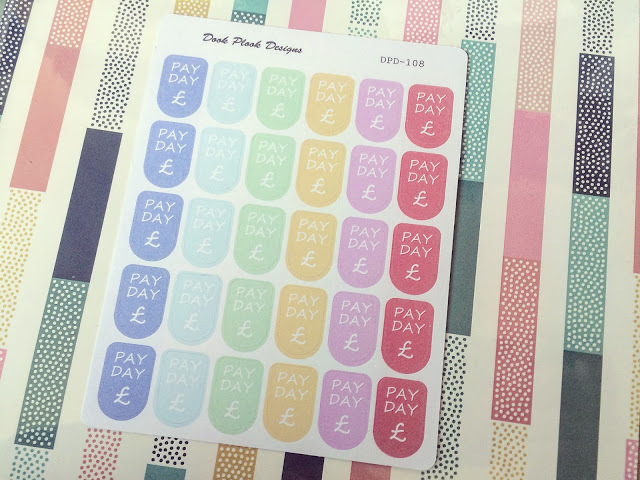 These rugby stickers are another repeat purchase. I use at least 3 of these a week usually as I keep track of what games are on TV and if I’m going to a game (rugby league by the way!). 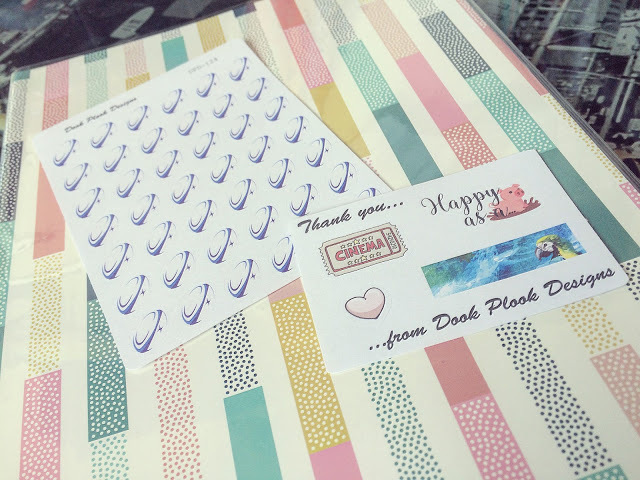 Beth also included a cute freebie sampler sheet; how cute is that pig? You can find DookPlookDesigns on Etsy here and follow Beth’s store on Instagram here too. Here you can find all the new designs being uploaded which is very often and plenty of discount codes too!